One done. Pattern from Red Bird Knits and is gorgeous. 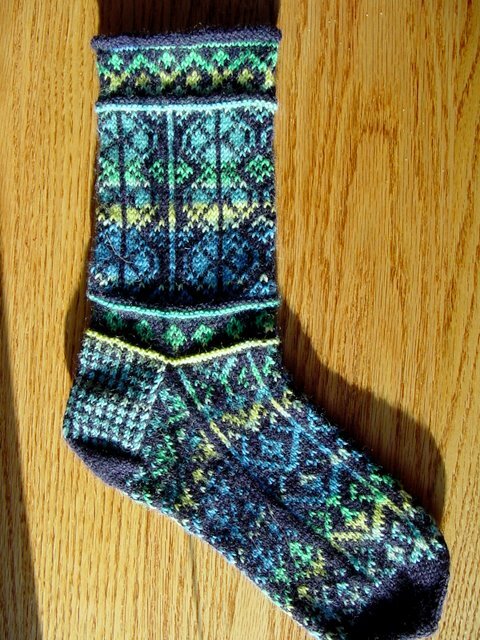 Knit in Regia navy blue main color and Regia Canadian for the contrast color in variegated blues/greens/yellow, on #0 dpns.